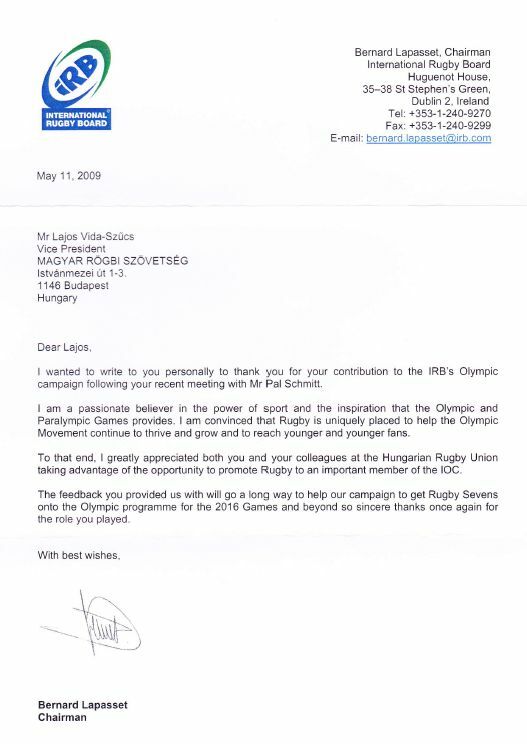 Rugby: positions - Honorary President of the Hungarian Rugby Union, former President (1997-98) and Vice-President, member of the Prsidium between 1993 - 2009, Representative of the Hungarian Rugby Union at FIRA-AER and IRB between 1997 and 2009, member of the Hungarian Rugby Referee Association since 1991. 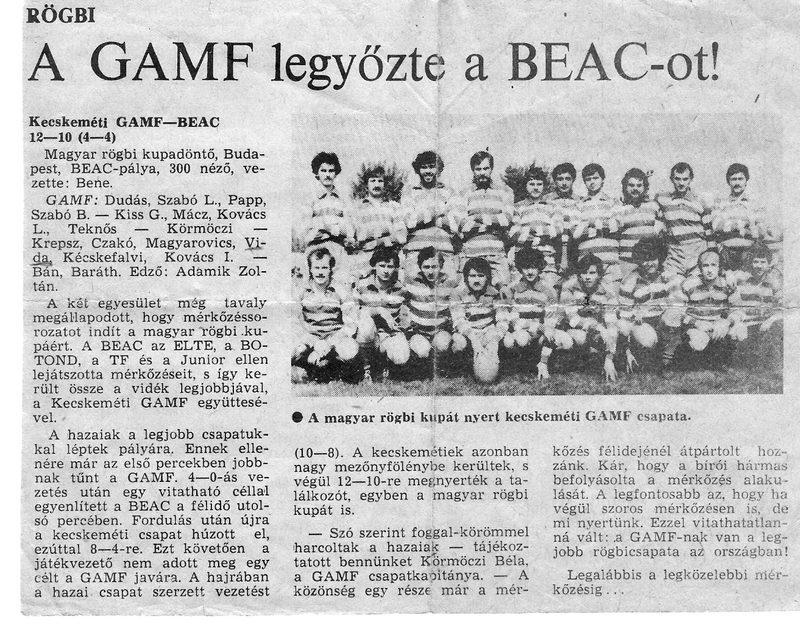 At the Kecskemét located Machine Engineereing and Automation College, that is GAMF, my group professor - Mr. Bela Kormoczi - started training rugby to the second team in Hungary in autumn 1979. That was around the start of the second period of establishing rugby in Hungary. I finally joined to the team in 1980. Besides plenty of failures and wins we started to travel abroad, at least to where it was allowed during those communist days. In 1981, we had a memorable Nagyvárad (Orodea) tour and we first met the later Hungarian National Team manager, Mr. István Szvercsák, alias 'Pista bácsi'. We also started regular games against the Vienna Celtic Rugby Club - they visited us in the spring season, we travelled there in early Octobers. One of the ex-players and managers of the Celtics, Will Crisp, wrote several books and the early rugby years of Austria can be followed in his novels, e.g. in 'Spytrap'. 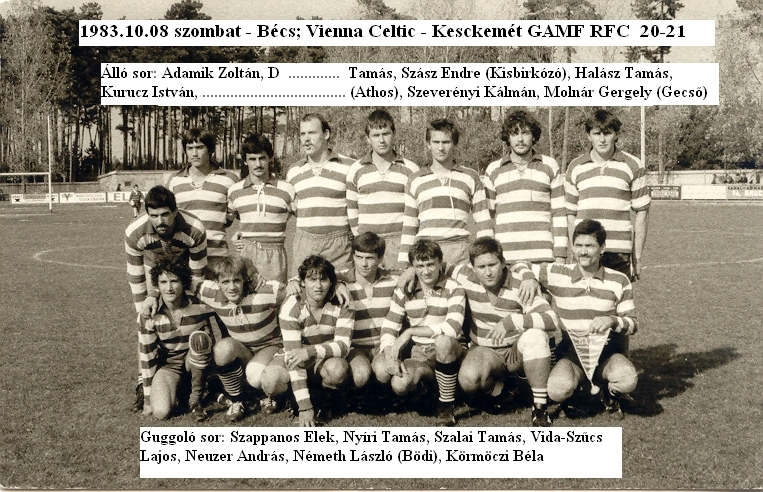 Our side, GAMF Kecskemet, encountered their first international win in Vienna in 1983 - Celtics lead by 1 point 1 minute before the end of the match, we got a penalty kick at the left, not far from the halfline - I successfully harvested the 2 points before the referee whistled the end. Our similarly great yearly experiences were the regular late August Olomouc tournaments in Bavaria. Mr. Milos Dobri organized these tournaments and among the 10 sides there were both east and west teams, that was unprecedented at those ortodox days. In August 1985 my Kecskemet side went to their first European tour, but unfortunetally I was not allowed to travel due to my just finished military years. In 1988, I left to Budapest to work and I changed Kecskemet club colours to the old great enemy, BEAC-ELTE, where Rumi Karcsi then Gacsal Jóska, later Union General Secretary, were my trainers. In 1990, after a half a year stay in California (as being too busy with work and studies, I had no chance to get closer to the Stanford team in Palo Alto - in spite I lived some miles away), I returned to my south Hungarian hometown, Szentes, and in a mudy March we started Szentes RFC. I trained the side, I played in it, I went to referee - so my days were mostly about rugby those days. Since the last years of the 90s, I played with Kecskemet Old Boys. 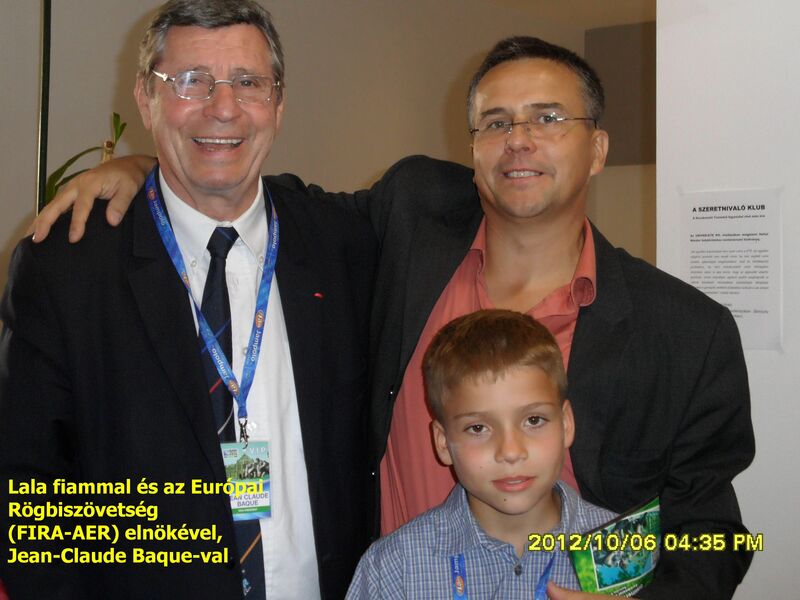 In 1992, I was elected into the Presidium of the Hungarian Rugby Union. Between 2 to 13 December 1993 three of my fellow referees and I were hosts of the Oxfordshire Rugby Referees Society reffing several games and making friendships, gaining plenty of knowledge. We also saw the Oxford-Cambridge Versity match. The local hosts were Brian Kentish of Blue Boar in Longworth, Peter Richmond , BBC Worldwide online correspondent and Bob Perkin, a local referee those days. 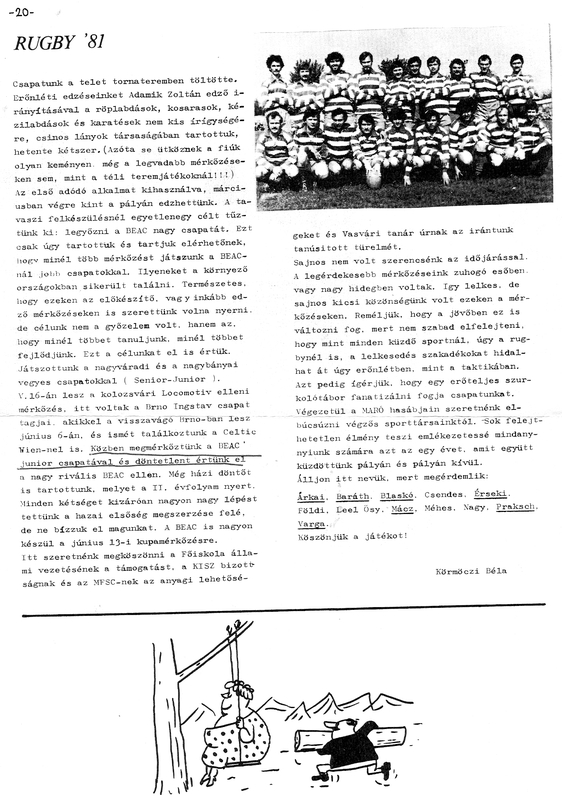 In 1994, we included the neighbouring town, Hódmezővásárhely, to the training work of Szentes RFC. In 1996, I took over international relations management at the Rugby Union. My first appearence was in the Rome IRFB meeting. 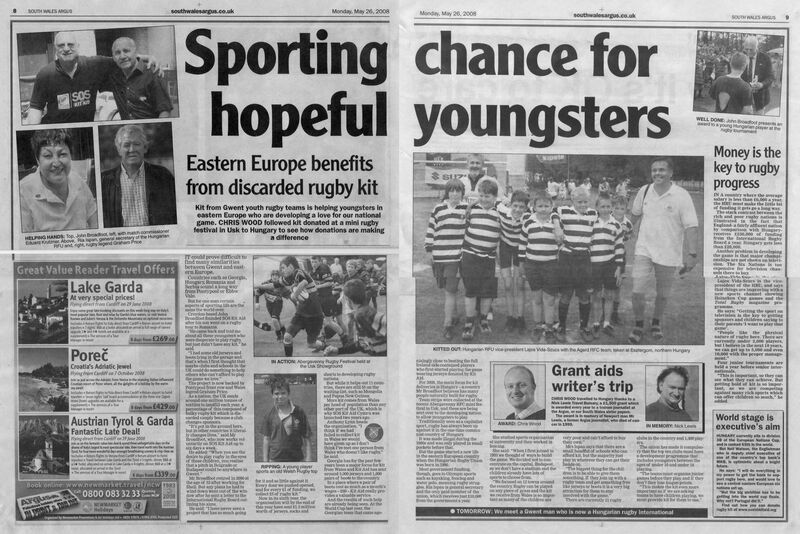 I was able to create the first successful IRB applications for Hungarian rugby school development. By 1997 the Union got into serious financial and moral crisis - I was elected President. During my presidency I tackled the financial difficulties, soothed the moral crisis and started new initiatives - e.g. first overall referee training program under the personal guidenance of Gheorghe Hustiu, the those days President of Romanian Rugby Referees Sociaty - obviously a very valuable support from much higher levels. 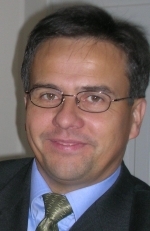 In summer, 1998 I resigned from presidency, but did international representation until 2009. 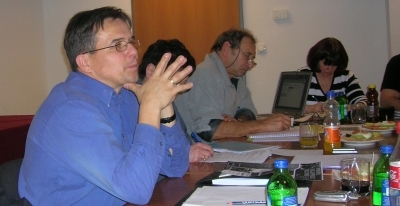 <------ 12 February, 2007: with Pierre Villepreux, the legendary French national team player, in a training course in Budapest. In 2004, the General Meeting elected me vice president, and I fullfilled this office until my final resignation in 2009. In October 2007, I visited the RWC in France for 10 days including all the finals. On the left: with Jonah Lomu, the Player of the Year in 1995, in Versailles. On the rigth: with Brian Habana, the Player of the Year in 2007 and member of the RWC winner SA team. 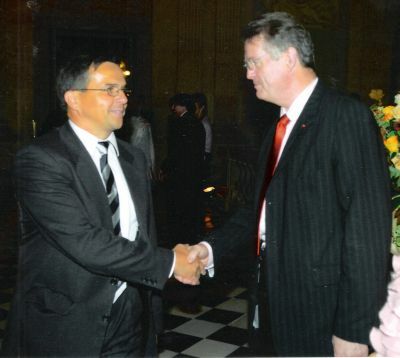 <-------- In a reception with Bernard Lapasset, French President then later, IRB President. 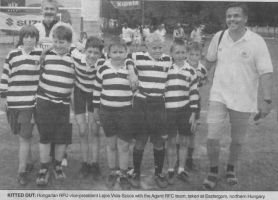 In May 2009, I finally resigned from active rugby activities - but still am on the touchline. 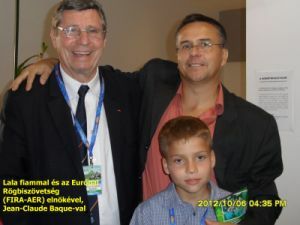 On 29 May, 2009 the General Meeting of the Hungarian Rugby Union elected me Honorary President - the fifth one actually in line with Mr Sándor Erdélyi and Mr. Béla Körmöczi, the fathers of current Hungarian rugby, and Mr. Gyula Magyarovics and Mr. Tamás Fehérvári, previous presidents. 6 October, 2012. Kecskemét: the opening game of the RWC 2015 European Qualifications was the Hungary - Bulgaria match. Amongst others, Jean-Claude Baqué, FIRA-AER President, Bernard Lapasset, IRB President and Paul Vaughan, President of the RWC 2015 Organisation Commettee took part. The World Cup itself was brought to Budapest and Kecskemét by Lawrence Dallaglio, ex World Cup winner.